Beijing: An aerial view shows fireworks explode over ice sculptures during the opening of the annual Harbin International Ice and Snow Festival in Harbin in northeast China's Heilongjiang province, Saturday, Jan. 5, 2019. 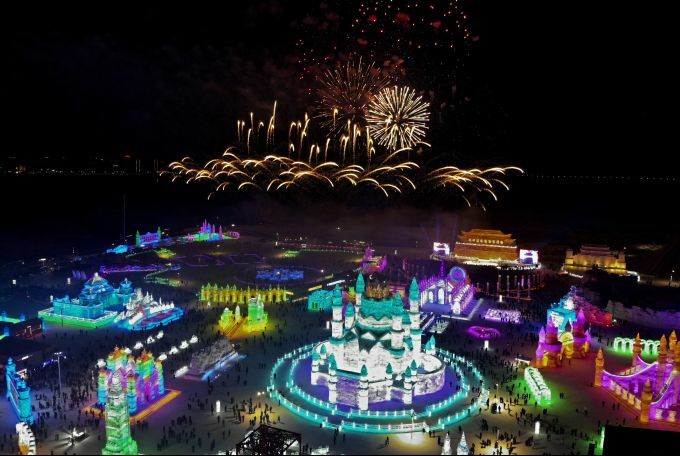 The Harbin International Ice and Snow Festival is known for massive, elaborate and colorfully lit ice sculptures featuring animals, cartoon characters and famous landmarks. 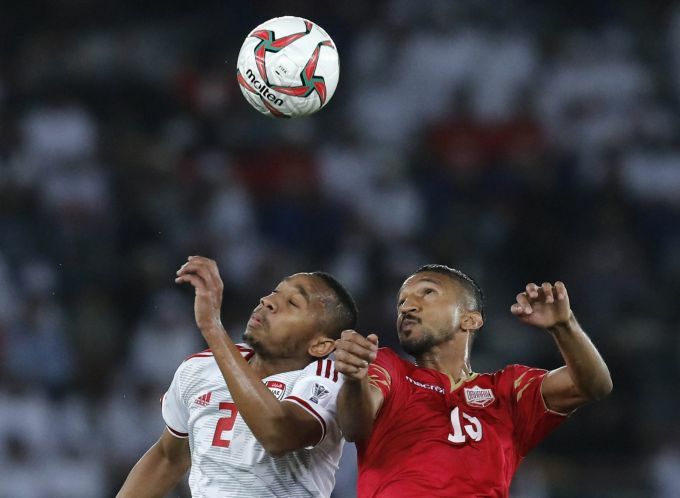 Abu Dhabi: United Arab Emirates' midfielder Ali Salmeen, left, and Bahrain's forward Mohamed Al Rohaini jump for the ball during the AFC Asian Cup group A soccer match between the United Arab Emirates and Bahrain at Zayed Sport City in Abu Dhabi, United Arab Emirates, Saturday, Jan. 5, 2019. Abu Dhabi: Traditionally dressed man perform during the opening ceremony of the AFC Asian Cup, ahead of group A soccer match between the United Arab Emirates and Bahrain at Zayed Sport City in Abu Dhabi, United Arab Emirates, Saturday, Jan. 5, 2019. 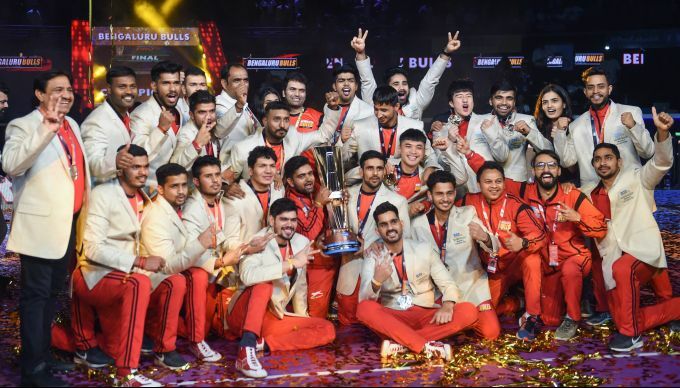 Bangalore: Winnners of "Infosys Prize 2018" of Infosys Science Foundation, pose with Infosys co-founder Narayana Murthy (C) and Mathamatician Manjul Bhargava (4th from L) during the award ceremoney in Bengaluru, Saturday, Jan 5, 2019. 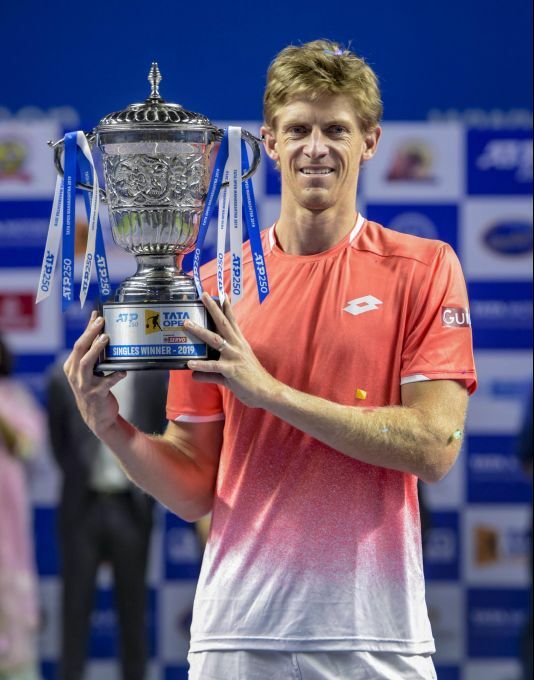 Pune: South African tennis player Kevin Anderson lifted the TATA Open Maharashtra ATP Tour trophy after win over 39-year-old Ivo Karlovic in the men's singles final match, in Pune, Saturday, Jan, 5,2019.